Bobtail Landscaping is a refreshingly down to earth landscape design and installation firm and we're dedicated to making your landscaping project as enjoyable as possible. We certainly enjoy every minute of what we do and we love to give our client's a positive experience. Our small team prides itself on not only being professional in our workmanship but also on being highly trustworthy, considerate of your needs, and easy to communicate with. We want you to love your new outdoor space so let us manage your project from design through to handover. Werd Landscapes is a boutique owner-operated landscaping company operating in Perth. We specialise in bespoke residential landscape designs and renovations. Werd Landscapes projects often feature natural stone, lighting, timber decking, alfresco areas, shade structures, water features, fire pits and many more elements of both soft and hard landscaping. We pride ourselves on offering a very professional service that guarantees the highest quality finish to all our projects. Exciting news from Avalon Landscapes We are introducing 3D virtual reality imaging 3D Virtual reality imaging allows you to see what we can design and create for you prior to commencement. This is the perfect new age product that will guarantee your new outdoor living and entertaining area blends with your main living zones. No imagination is required. We have invited Perth’s best pool builders to work directly with us to design and install top quality fibreglass and concrete pools. 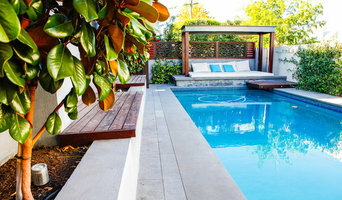 Working directly with the pool builder, enables us to install the perfect pool for you. Roberts Landscapes and Paving provides a professional, reliable landscaping and brick paving service throughout Kalamunda and the surrounding suburbs for all domestic and commercial needs. Since establishing in 1988, Sean Roberts has created a business with a reputation for outstanding service and unique designs using quality products. As Australians, we all love the outdoors. Waterwise Landscaping is formed around the concept of creating the ideal outdoor space to enhance your lifestyle and elevate your enjoyment of the outdoor space. Constructing a purposeful designed exterior environment for your home will simultaneously unlock your home’s hidden potential, while also adding value to your property. Often times, home owners will focus a great deal of attention towards getting the interior living space for their home just right, but will forget to apply the same kind of attention towards the exterior living space. Waterwise Landscaping’s team of specialists can help you realise the vision you started inside your home, by extending the same sense of style and function into the outdoor space to perfectly reflect your lifestyle and personality. Allusion Landscapes was founded in 1998 by Doug Morgan. 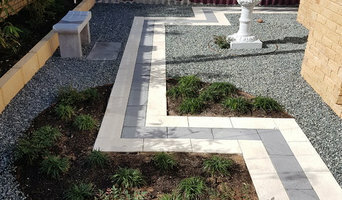 Allusion has always been about pushing the boundaries with landscape construction and how we can make your garden unique, while always maintaining the quality you deserve. It’s the little things that make our gardens amazing. The Allusion team is a small team of qualified tradesmen who have come together over many years to achieve a common goal – to design, manage and complete classy and practical gardens. Whether you are looking to update your own garden, or you have a major project on the go, you’ll get everything you need from Allusion Landscapes. We will provide you with a holistic solution so you don’t have to source services from different suppliers and we guarantee you’ll love the end result. Medium sized Perth based Residential Landscaping Company, run by Husband and wife team Jamie & Melisa Wendt. All services from Landscape Design through to installation of all aspects of hard and soft landscaping in house by our qualified employees. Primary Earthworks is a trusted Perth based business, with extensive experience in earthworks, demolition and removals. Our friendly team can handle all sized jobs from residential to industrial and even commercial. If you are looking for quality earthworks in Perth, you’ve come to the right place. From minor earthworks, complete site cleans, removals, landscape preparation & site leveling to demolition and more. Our level of service scales from residential to commercial sized projects, but no matter the size we ensure the job is done on time and on budget. Here at Perth Landscaping, we take pride in delivering professional services and high quality results to both commercial and residential clients. Offering a wide range of landscaping services from laying artificial grass and gravel to the construction of decks and patios, we like to think that there’s no job too big or too small for us. Whether you need some help with a simple landscaping update or a major renovation, you can trust us to get the job done. 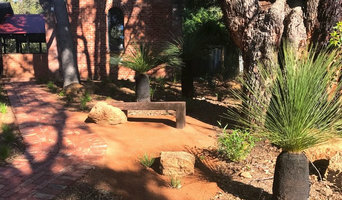 City Limits Landscapes is a leading landscape design and construction company located in Perth, Western Australia. Our mission is to “design, create and transform outdoor living spaces that complement your lifestyle, acts as a place of relaxation and entertainment, and modernises your property generating added value”. When you engage with City Limits Landscapes, we ensure complete quality control, as all services are carried out by our highly qualified in-house tradesmen. PSS Landscaping specializes in landscaping design and construction. Specialising in full garden renovations, whether you are looking for Residential, Commercial or Strata installations. We have the experience and knowledge to get your job done on time and on budget. 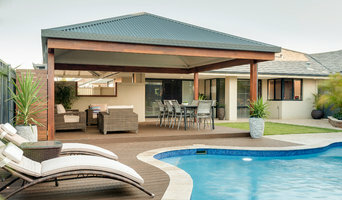 Landscapes WA has become one of Perth's leading landscaping design and construction companies. Specializing in domestic landscaping but also commercial works and maintenance projects also. Landscapes WA work together with the client to produce functional landscapes that will be admired for years to come. We pride ourselves on the relationships we have built with some of the major builders throughout Perth and this carries through to works with our many happy private clients also. Gradient Landscapes’ design and construction team will work closely with you on every aspect of your project to ensure the finished landscape is not only everything you anticipate in the design phase, but hassle free during the construction phase, and practical and manageable for you in the long term. Planted Passion is a bespoke landscaping company with a holistic outdoor design approach. Using colour, contrast, texture and depth as integral principles, we will see your project from consultation/design to the overall aesthetic success of your outdoor living space at its final stage. We specialise in garden design, landscaping, and consulting through the use of permaculture, organic and sustainable practices.Selecting an organic garden will require less watering, become adaptable to climate changes and be more resilient to pests and diseases. Director, Neil Miles, leads the team of 8 staff and is a qualified horticulturalist. After obtaining his qualifications in Western Australia's South West, Neil’s career commenced in Margaret River at a Tubestock Propagation Nursery. Additionally, his studies into organic practices have been applied to permaculture and kitchen gardens designs and installations for clients in the South West and in Perth. Neil's personal residence is Hampton-Style with French Potager Gardens. What can a Perth, Western Australia landscape contractor or gardener do? 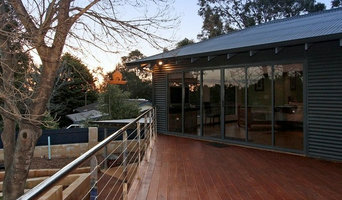 Find landscape solutions and Perth, Western Australia gardening services on Houzz. Scroll through this page to find professionals that offer landscaping and gardening services in your area. You can browse their latest projects, read reviews and see how other homeowners rate their work, and message them directly.